As the job market gets more and more competitive, it’s a plus point for college students to have a professional experience in their chosen field of work. Internship is one way of getting this experience. 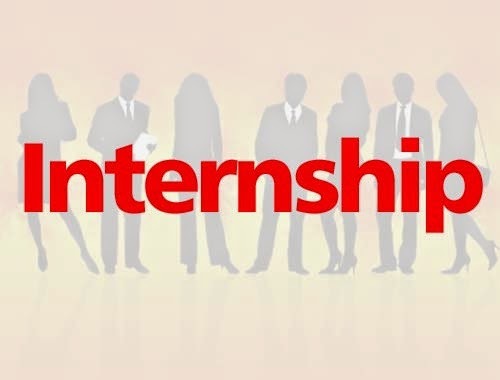 Internship is a part of the curriculum in most colleges, especially in the undergraduate level. It not only helps students get firsthand experience of the workplace, but also helps them network with professionals in the field. It also makes good impression in one’s CV, especially when one is fresh in the job market. “In our sixth semester, we’re required to do an eight-week long internship,” shares Smriti Pradhan, 21, who will be joining one shortly. She along with her two friends will soon be starting their internship at House of Rajkarnicar.Studying Bachelor of Business Administration – Banking and Insurance (BBA-BI) at Ace Institute of Management in New Baneshwar, Smriti also has experiences of managing various events held at college and her internship will be on similar grounds. Smriti’s is a paid internship. “On the last day of the placement, we’ll be receiving our remuneration. Since it will be my very first earning, I’m very excited for the internship,” she quips. Likewise, Savita Dhungana, 25, a postgraduate student of Botany at Tribhuvan University has been interning at Annapurna Neuro Hospital in Maitighar. Her work there is related with plant tissue culture and molecular analysis, which also happens to be the subject of her thesis. “The equipments used at the hospital are well maintained and much advanced than that available at our college, so I’ve been learning a lot from the internship,” says Savita, who only goes to the hospital when she needs to use the equipments. “As the internship doesn’t require me to go to work on a regular basis, I have more time for studying,” she says. An undergraduate student of Dental Surgery at BP Koirala Institute of Health Sciences in Dharan, 25-year-old Anuja Bajracharya is also currently doing her internship. They are required to intern at different government hospitals for a year. Unlike what Savita experienced, the equipments are better off at Anuja’s college than the hospital she’s been interning at. This has made working more difficult, she observes. “But the plus point is, while working in rural areas, we get to deal with different cases and practically learn a lot more than in college,” she says. Similarly, Nutan Ojha, 22, shares her experiences of interning at KIST Bank’s branch at Koteshwar, which was a requirement for the completion of her BBA course. Nutan, currently in the process of joining MBA classes, says that the internship has greatly assisted in preparing herself for the workplace. “I want to make a career in banking, and thanks to the internship, I now have the experience and the perspective. Without internship, my BBA degree alone wouldn’t have had much significance,” she concludes.